A lot goes into running a business. One of the easiest ways to ensure that business-ownership does not become overly stressful is to delegate or outsource certain responsibilities. As any business owner knows, businesses send and receive a lot of mail. While relatively easy in nature, managing, sending, and receiving documents can become a time-consuming endeavor. One way around this is to utilize a print mail outsourcing company. How long has this company been in business? Do they understand the wants and needs of your specific industry? In order to ensure that your documents are in reputable hands, it is important to determine whether or not the company you are considering outsourcing to has ample experience in your industry. For example, if your business is in the healthcare industry, you want to make sure that the company you outsource with is HIPPA compliant; this is why it is important to ask a company whether or not they have experience working within your industry. Does the company offer digital color? Do they offer levels of pre-conversion support to help you train internally? Are there specialists on staff that can assist you as you transition over to digital color? If you plan on utilizing digital color, it is beneficial to find a company that not only understands digital color, but that offers tools and support for companies looking to make the transition. Security is of the utmost importance when searching for a print mail outsourcing company. Part of running a business means that you will be sending and receiving a lot of confidential information. It is important that you hire a print mail outsourcing company that has the proper security certifications to ensure that your mail is handled safely and discreetly. The SSAE 16 Type II is the gold standard for security certifications in the print-mail outsourcing industry. As time advances, so does technology. Make sure that the company you hire has invested in up-to-date technology. While it may save a company money to hold on to equipment that has exceeded its recommended number of usage years, old technology opens a company up to a host of problems; most notably, security breaches. Further, one of the benefits of outsourcing to a print-mail outsourcing service is that you should have access to the latest and newest technology without having to purchase it for your company. In order to ensure that your information remains secure and that your documents are being created and distributed in a timely manner, a print-mail outsourcing company should be using proper, up-to-date technology. One way to determine whether or not a company’s technology is up to date is by asking to speak with their Operations and Technical team and inquiring about what technologies are currently in use and how often team members are trained and educated in using these various forms of technology. Does the company offer in-house support? Are they easy to gain access to? Do you feel like just another number in a long queue or does the company’s customer support make you feel like you are worthy of proper attention? Customer service is very important, especially when it comes to vendors that you outsource to. You want to ensure that any questions or concerns will be addressed in a timely and efficient manner so that you do not fall behind on your correspondence. A print-mail outsourcing company with quality customer service will have chat, phone, and email support. A print-mail outsourcing service should be fully transparent. You should be able to monitor activity and control settings when needed. You should not feel like you have lost control over your documents. Acting as a full-service printing and mailing facility, PostalMethods has been in service for over twenty years. Having worked with companies in an array of industries, PostalMethods utilizes up-to-date technology, offers full transparency, and provides in-house support to our customers. 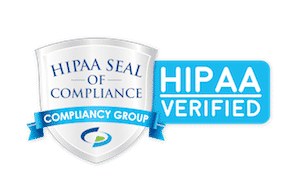 If you are in need of a print-mail outsourcing company that has the proper security certifications, is HIPPA compliant, and provides a wide range of services, contact PostalMethods today at 254-537-4600.